The "mega cycle" iPhone 8 and, presumably, iPhone 8 Plus, might have different displays according to new speculation from Gabelli & Co. research analyst Hendi Susanto (via Barrons). In a discussion with Universal Display executive Darice Liu, Apple's potential use of OLED displays in an upcoming iPhone model surfaced, leading to the talk about overall display technology for the iPhone 8. Susanto agreed that 2017 is likely the year that Apple will introduce OLED displays into the iPhone, with the caveat that it may go for a "partial adoption" of OLED because the company's suppliers might not be able to meet its needs for a full rollout. This suggests that a higher-tier version of the smartphone -- perhaps the iPhone 8 Plus, or equivalent model -- will be this "specialized edition" of the 2017 iPhone, incorporating an OLED display as its distinguishing factor against other versions. Speculation regarding the potential adoption of OLED displays by Apple continues to dominate major discussions with investors. The current speculation anticipates Apple’s adoption of OLED displays in its iPhone in 2017 or 2018. We believe that Apple can adopt OLED displays sooner rather than later by pursuing a partial adoption and incorporating it in a specialized edition of a new iPhone version. This will alleviate the needs of huge supply capacity and accelerate OLED display adoption. Alternatively, Apple could choose to wait and finally adopt OLED displays for all new iPhone versions. We remain cautiously opportunistic. We believe it’s a matter of when, not if. This would leave the remaining models of the iPhone 8 with the traditional LCD screen technology currently used in the iPhone 6s, and coming in the iPhone 7. Apple has introduced slight variations in same-generation iPhone models since the launch of the iPhone 6 in 2014. 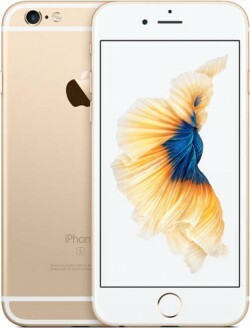 Subtle differences have included battery life, camera performance, and a landscape mode for the 5.5-inch iPhones. A major difference in the upcoming iPhone 7 Plus is expected to revolve around a feature-packed, dual-lens camera. The alternative option exists that Apple could also simply wait and adopt OLED displays when the technology and supply chain is ready to produce them "for all new iPhone versions," which could mean 2018 or even later. Both pieces of information are pure speculation, so should be treated tentatively, but they do add to the early reports of the tenth-anniversary iPhone's drastic changes, including the introduction of an OLED display and its potential for slimming down the iPhone, the removal of the home button, and possible support for wireless charging. the only difference between the iphone and the plus model should be its size. i do not want a larger phone to have a better camera and or screen. further, what's taking them so long? We believe that Apple can adopt OLED displays sooner rather than later by pursuing a partial adoption and incorporating it in a specialized edition of a new iPhone version. That sounds like another reason to charge even more money. Just....no. People have waited too long for this to just have to pay extra for some "specialized edition." All iPhones should have the same specs IMO, just different sizes. This story is just too funny ... ALL those Apple fans holding out for the iPhone 8 only to find out that the price point for the Special Anniversary Edition will be way and above anything else in Apple's line-up and out of their reach ... just too funny. Pathetic! Everyone skipping this years iPhone 7 to wait for the iPhone 8 that is already outdated! OLED is already out and is nothing new guys. Oh, not again with the plus model. I understand having a better camera or a better battery due to the size but better display? What is the excuse? Absolute piss taking!! So the competitors already have dropped headphone jacks, and have curved screens, waterproofing, wireless charging, multiple biometric options, AMOLED (which is OLED), near zero bezels, in fact some all in one phone. OLED shortage rumors, BS. Chances on the the 10th anniversary phone being upstaged early, highly likely. Apple is feeling slower and slower. This is crap. The iPhone was perfect until 2013 where it was a single flagship, one and only. I hated it when Apple diversified the iPhone and discriminated the smaller iPhone. The least they could have done is given a unique feature which was not in the plus models so that 4/4.7 inch iPhone users don't feel inferior. There shouldn't be a case where I'm forced to go to a bigger screen coz I need those features.